Should you find yourself in the position of needing to get Sharpie off your hardwood floors and kitchen cabinets, try rubbing alcohol or spray sunscreen (which also works on leather couches or seats in your car). 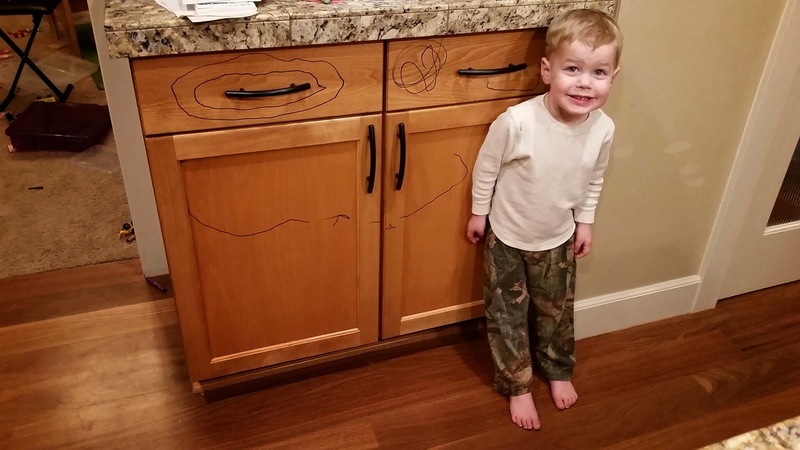 Or, enjoy a smiley-faced cabinet and proud child. Do you really have control?